After the massive release of OnePlus 5T, OnePlus decided to launch its new series of a OnePlus device in the competitive market and it is none other than “OnePlus 6”. The brand new OnePlus 6 is the new flagship killer of 2018. So, Do you want to unlock the bootloader on your OnePlus 6 device? Then, Here I have the quick guide for you. This guide helps you to unlock the bootloader, and all you need to do is, follow the guide till the end. OnePlus 6 device comes with 6.28-inch OPTIC AMOLED display which is protected by Gorilla Glass V5. The device holds Qualcomm Snapdragon 845 chipset and has Octa-core processor which is currently running on Android 8.1 Oreo and also upgradable to Android P soon. Moving to the camera part, the OP 6 has 16MP + 20MP dual rear camera with dual LED Flashlight. The Front selfie shooter has 16MP which helps to capture long wide shots. The device carries 6GB of RAM and 64GB of Internal storage with no External SD card support. As usual, We like to end up with battery life, And the device holds 3300mAh battery. So, Without any further discussion. Let us we dive into the guide. Note: – Unlocking the bootloader on OnePlus 6 doesn’t require any code, and also the device warranty will be voided so that you can’t claim your warranty if anything goes wrong. Also, I am not responsible for your device if it deads due to your carelessness. The guide which I shared below is tested on my device. So, Follow every step and don’t skip any point. Here is the step-by-step guide to unlock the bootloader of OnePlus 6. While Unlocking the bootloader, All the data inside the phone will get deleted. So, make sure that you have backup everything to your External SD card or the Cloud storage. 1.Download and Install ADB setup v1.3 on your Windows PC. 2. Once the installation part gets over, Run the application and You will see the Dark blue screen Command Prompt. Now, Press “Y” (yes) in your keyboard. 3. Now, Make sure that you have enabled OEM Unlock and USB Debugging mode. 4. If you’ve not done this before, then please follow the steps: Go to Settings >> About Phone >> Tap on “Build Number” 7 times. Now, the Developer options will get enabled in the settings page. 5. Go to Settings >> Developer options >> Enable OEM Unlock as well as USB Debugging. Also, do make sure that you have enabled both the options. 6. Connect your OnePlus 6 to your Computer through the USB cable and open the ADB Command Prompt. 7. Reboot your OnePlus 6 to Bootloader mode by executing the following command in the Command window. ⇒ You can see that the device will boot into the Bootloader/FastBoot Mode and If it asks permission to “Allow USB Debugging then allow it. 8. Once the device gets into the Bootloader Mode, Execute the following command to unlock the Bootloader of your OnePlus 6 device. 9. This command will unlock the Bootloader and wipe out all your data stored on your device. The device looks fresh as the new one. So, In order to safeguard your files. Please take the complete backup of your files. 10. Once the bootloader is unlocked, The device Restarts automatically and you can use the device to install TWRP Recovery or else to root it. I hope this guide helped you to unlock Bootloader of OnePlus 6 device. If you have any queries related to this, then do let me know in the comment section below and I am here to help you. 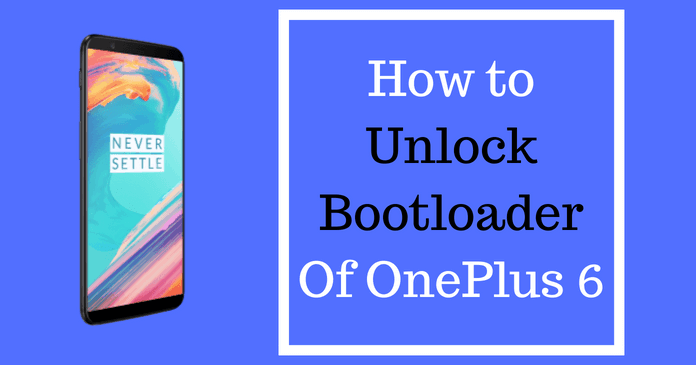 Also, Do share this guide with your friends and let them know if they are looking to unlock the bootloader of their OnePlus 6 device.